Between 1796 and 1820, William Danby employed Adam Mickle and his men to help his eight gardeners to enlarge the lakes at Swinton Park. 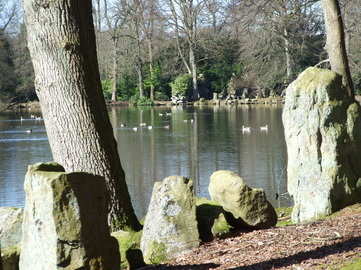 In 1803, it is recorded that stones were laid near the boathouse. In a painting by Julius Caesar Ibbetson of 1805, workmen are shown building a bridge. On Jeffrey's map, the park wall goes around the high ground at this point. Perhaps it could have been a mount from which to view the park. Shown on the 1820 plan as Mount, it appears to have been a building by then. 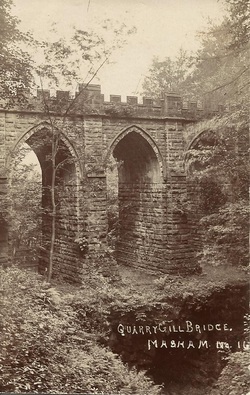 It was built for William Danby II as a gazebo and eyecatcher. 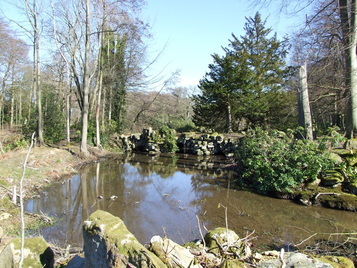 When William Danby inherited the Swinton Estate in 1750, he immediately began to reshape the landscape. 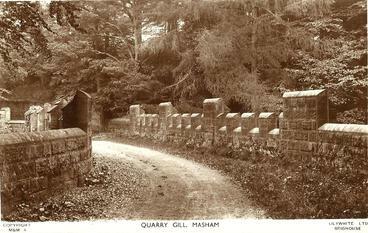 In 1754, he paid a local builder, Mr Ward, a guinea 'for several plans for my gateway'. He then paid Robert Doe another guinea for some plans. 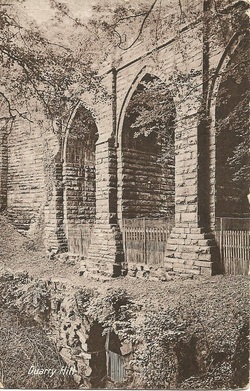 Robert Doe was involved with much of the building work at Studley,and it may not be a coincidence that the Great Gate at Swinton resembles the East Gate at Studley. 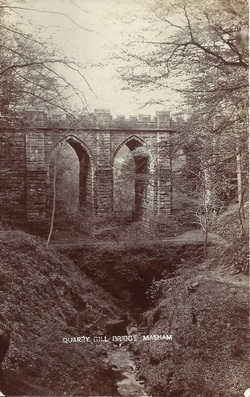 Danby paid over £400 for the gateway. 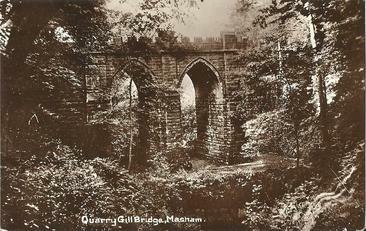 It framed a vista to Masham Church at the same time as William Aislabie was creating a vista to the same church from Hackfall. 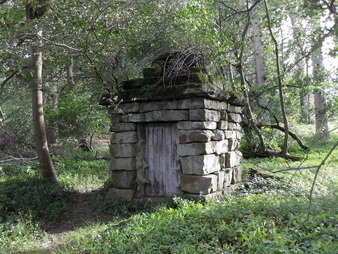 There are two small grottoes built into the Swinton Park wall near Quarry Gill House. The bricked in niches in a wall near to the game larder were bee boles. The icehouse at Swinton Park has been filled in with rubbish. 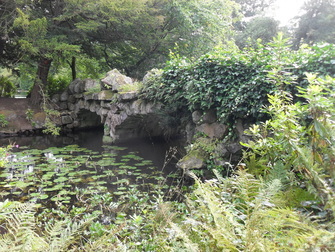 A 'rough bridge' was built in the early 19th century when Mount Pond was enlarged. 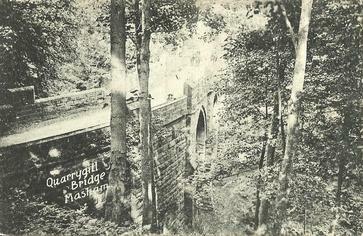 The seventy feet high Quarry Gill Bridge was started by Adam Mickle in about 1809 and after his death it was completed by John Foss in about 1820. It cost £11,000. 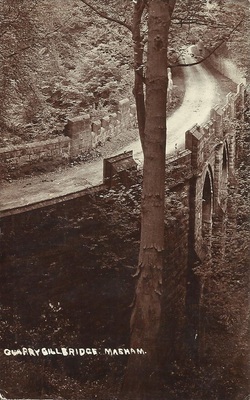 Drawings by the artist George Cuitt of an aqueduct carrying the Ellesmere Canal helped Foss with 'some ideas that he thought might apply'. In 1820, Adam Mickle and his men placed rocks around Mount Pond (now known as Top Lake). 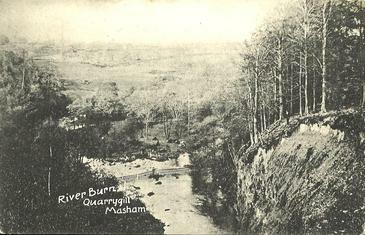 The Three arch Bridge is where the water flows out of Mount Pond (now Top Lake), down through Quarry Gill. It is marked on the 1820 plan of the Swinton pleasure grounds. Adam Mickle started working the Top Lake in 1810 and because of the steep fall of the land to the north a massive embankment was made. A rockwork structure was constructed to create a sublime atmosphere. 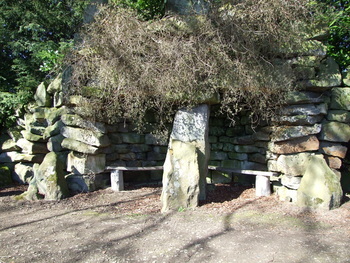 The rough hut constructed with a pyramidal roof, would have been considered picturesque as well as practical. It is marked on the 1820 Swinton plan and the 1857 OS map as Well.